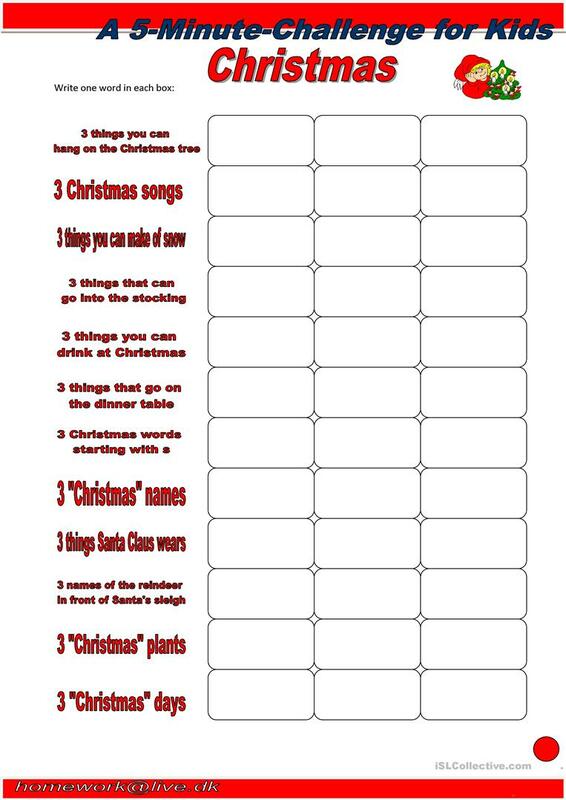 Like my other 5-Minute-Activites this worksheet challenges the students on their knowledge about Chirstmas and vocabulary. Kids love to play and they love competition. This is about scoring the most points. One point for each correct answer. Who wins? The above downloadable teaching material is best suited for high school students, elementary school students and adults at Elementary (A1), Pre-intermediate (A2), Intermediate (B1), Upper-intermediate (B2) and Advanced (C1) level. It can be used for strengthening your students' Reading and Writing skills. It is focused on the vocabulary topic of Christmas.